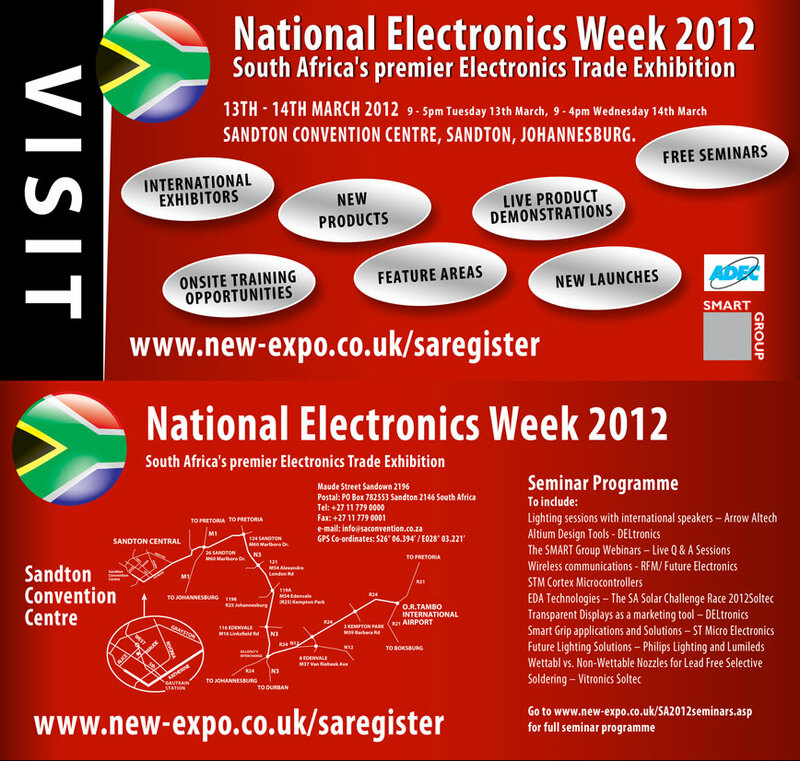 ABI Electronics will be represented at the National Electronics Week (NEW) exbition in South Africa. The 2nd edition of the show will take place at the Sandton Convention Centre in Johannesburg on the 13th and 14th of March 2012. For a chance to discover ABI's products and to discuss your requirements with our local partner Test & Rework Solutions, please visit us at booth C14. Entrance to the show is free and users can register online here.